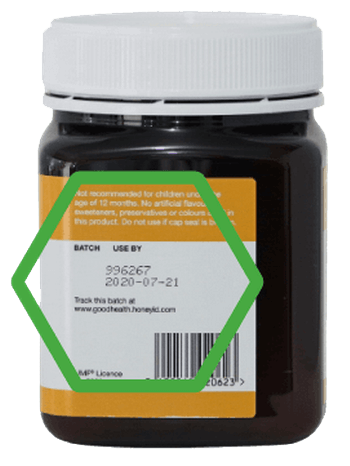 Good Health Manuka Honey 5+ is a premium quality UMF certified Manuka Honey, gathered from wild Manuka flowers grown in remote regions throughout New Zealand. Manuka Honey has long been valued for its unique properties and smooth, delicious taste. Click Here to enter the batch number of your purchased product. See quality test, packer and packing date. Not recommended for children under the age of 12 months.